Hello lovely readers. 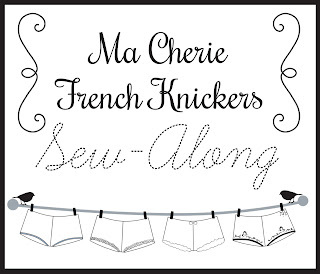 Today I want to chat a bit about finishing touches on your French Knickers... or any lingerie for that matter. 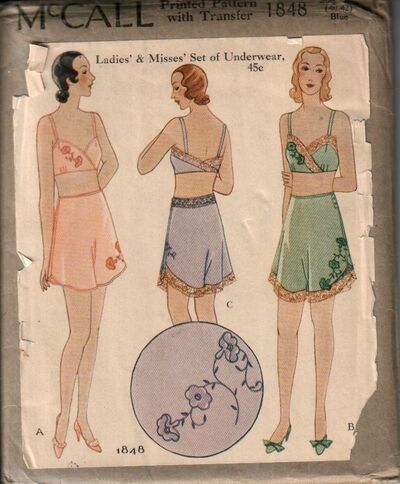 Many of you know that I'm constantly inspired by my collection of vintage lingerie and lingerie patterns. 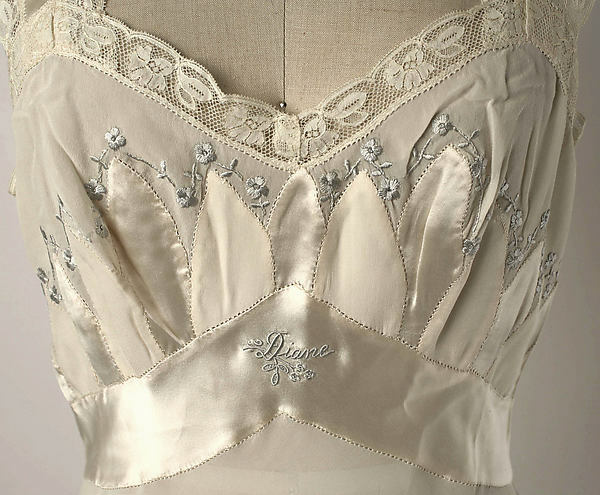 My biggest source of inspiration is lingerie from the 1920's. 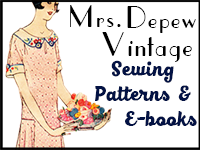 I feel that the handwork details, fabrics used, and styles are all easily accessible to the modern seamstress. There are no scary under-wires, boning, and not too many elastics to worry about. The styles are so simple to sew that more time and attention can be payed to tiny details like lace applique and embroidery. 1920's Lingerie Top Via Etsy shop The Paraders. 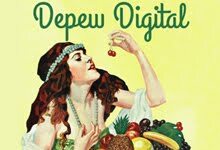 My goal in creating my own lingerie has always been to reach a point where I can skillfully make some beautiful, new or vintage-inspired pieces of lingerie for my own enjoyment using techniques that I've learned from my exploration of vintage pieces. 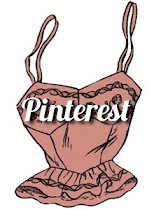 Vintage Camisole Via Etsy shop Rococo Vintage. Sigh... some day I'll be that good. Then I'll make something like the above and be too chicken to wear it in case I hurt it. 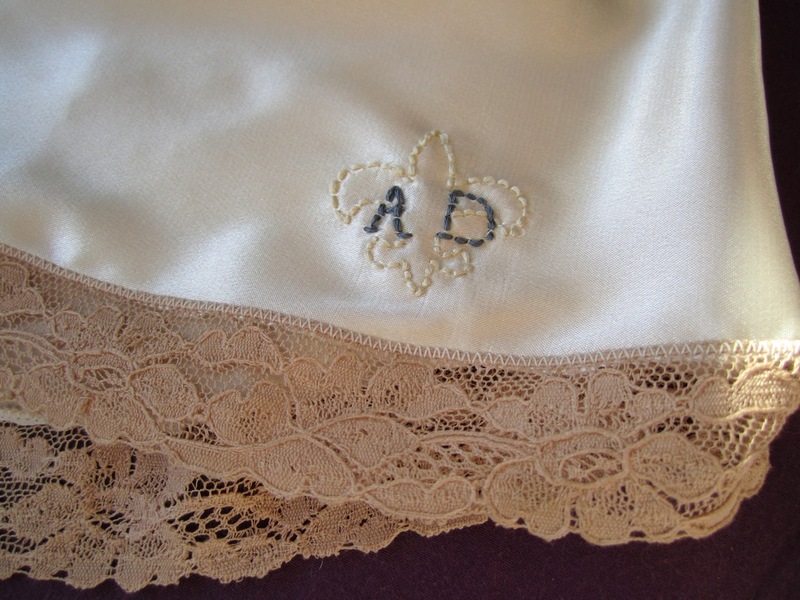 I especially love the use of embroidering one's initials or name into beautiful handmade lingerie. So I decided to sign my work. 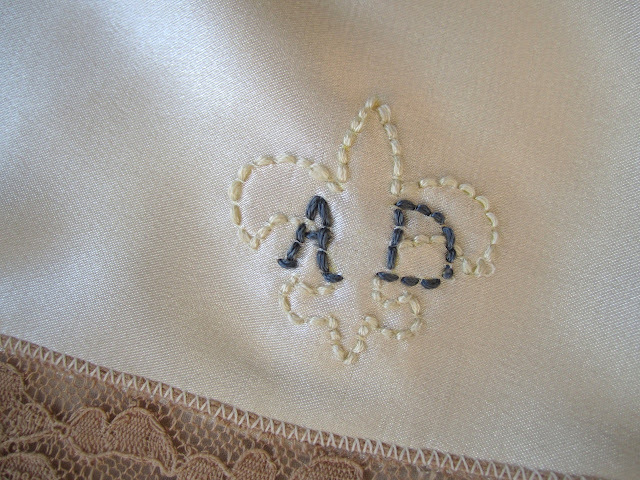 I set to work in Photoshop with a basic fleur de lis, played around with size and fonts, and came up with a basic template that I could trace onto my fabric and embroider. I used some transfer paper scraps (look for them at your local thrift shop, so handy!) 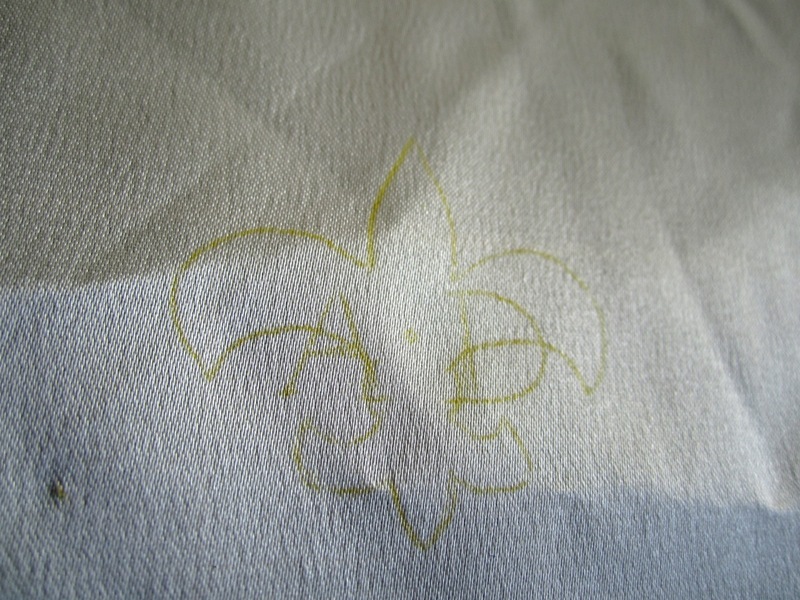 over a scrap of satin, with my printed test image over that, and traced over it all with a pen. Pardon the ratty fabric scrap and the horrible photo... I still have no lights in my studio! I switched threads and with a bit more care this time, embroidered the same design (minus the center French knot) onto my lace and satin knickers from our last post. It came out much better! I used a simple back stitch to embroider the whole design. I'm no pro so I won't preach at you about embroidery technique, but here is a great post at Sublime Stitching that shows you this super easy stitch. And voila! 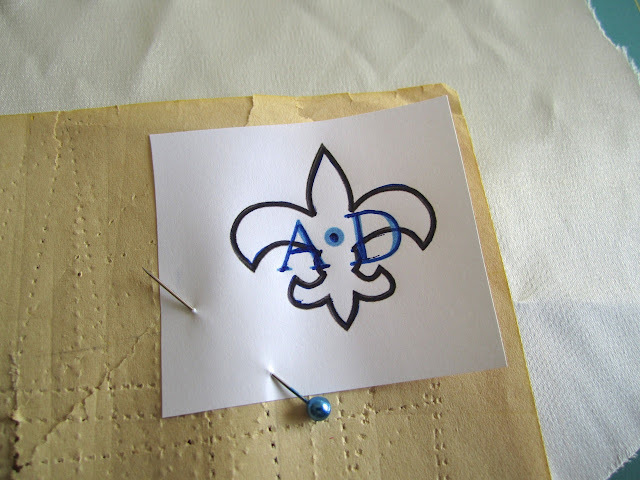 This was really quite easy for a novice embroiderer myself so I strongly encourage you to try it for yourself! 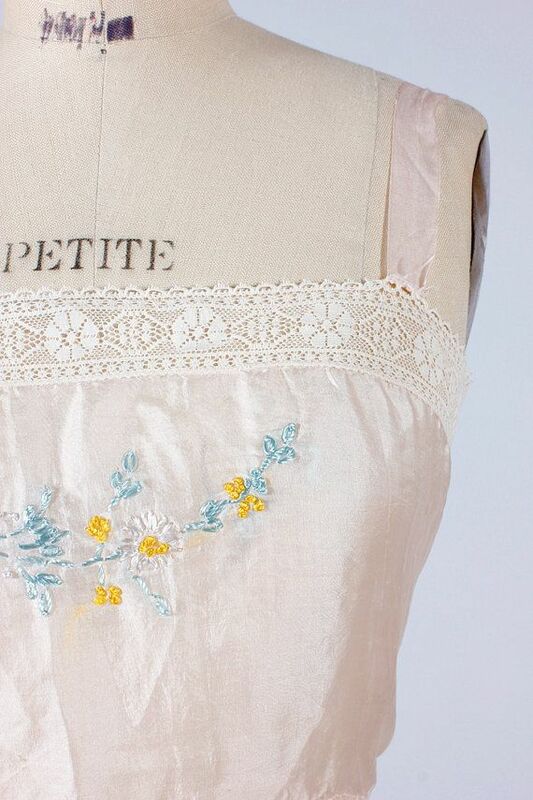 Embroidery is so soothing! 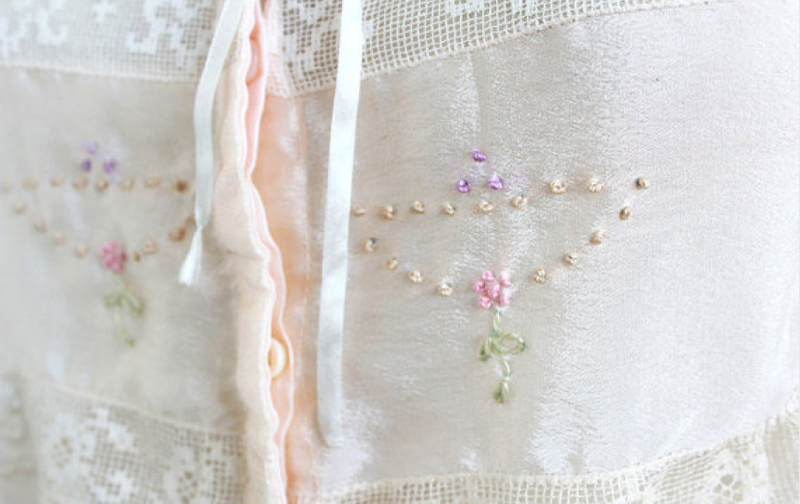 Do you plan on adding any other little touches to your French Knickers or other hand-made lingerie? 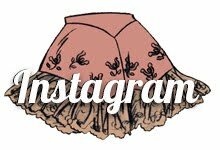 Or do you have a favorite piece of clothing with a tiny, beautiful little embellishment that makes it just that much more dear? lovely. 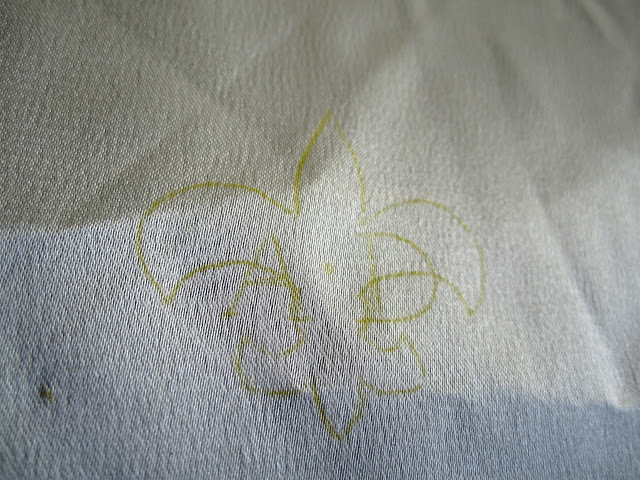 you could probably use the chalk dressmaking paper (like the burda brand stuff) as transfer paper? 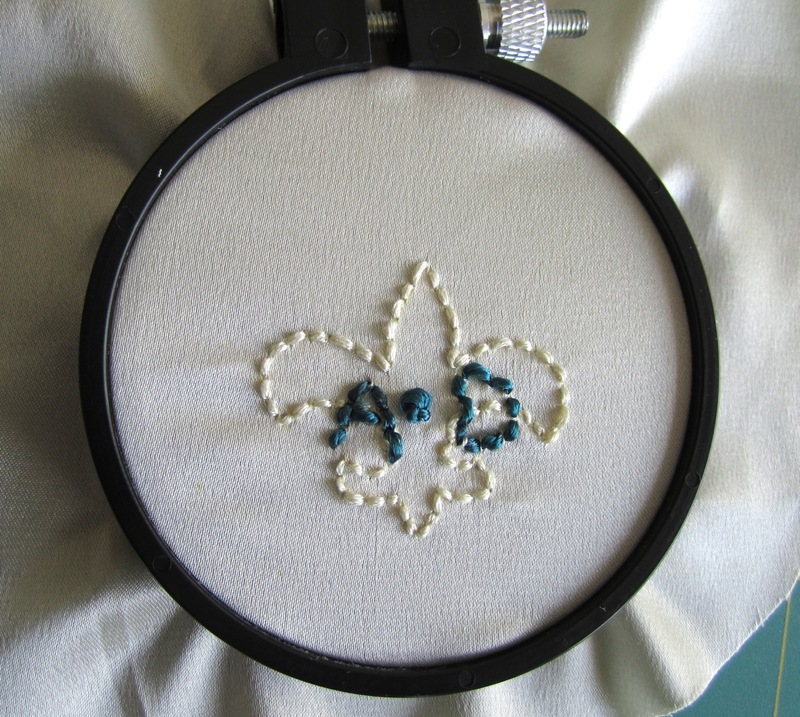 i might try using fewer strands of embroidery thread if you are doing quite a small design. 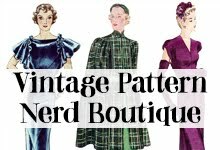 That 1950's nightgown is to die for!!! I love the idea of signing your work. 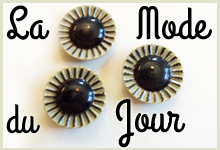 Don't be afraid to make and wear it! In theatre I make delicate little things that take an 8 show a week beating. You do lovely work and should show it off!! Embroidery Tip - use fewer strands of thread. 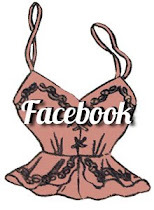 I love that idea, too, and will add it to my 'lingerie file' - and hopefully, soon, I will make some of my own. HI Karen, thanks for the tip. I tried separating the silk thread I used (it looked like two strands twisted together) but the moment I did, it just fizzed and fluffed into this unmanageable tangle. Any ideas what I should do with it? 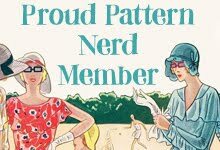 I'm still working up to starting to make lingerie but I'm really enjoying reading and swotting up with your sew-a-long - thank you! When embroidering I use Coats embroidery thread which has several strands twisted together - the trick to unravelling is to use quite short lengths, hold the threads you don't want between thumb and finger of one hand and the ones you do want between 2 fingers of the same hand - then untwist with your other hand, hooking a finger between then gap that appears between the 2 sets of thread. Sorry that sounds so tricky but it's easy in practice and stops that tangle and knotting problem :) Hope that helps a little. Debbie, thanks so much, this really helps! I'll be sure to give that a try next time. I'm also thinking of getting some thread conditioner to help smooth things out. Any thought on whether or not it's worth it?